Traditional Banking, as we know today, has existed for centuries. Conceptually, traditional banking has largely been the same since the 1600s – double ledger accounting driving products like lending during the Renaissance era or deposit acceptance across branches during the Rothschild’s. Technology, as we know today, on the other hand, has come to the fore largely in the last couple of decades, ushered by the advent of the Internet during the dot-com era and mobility post iPhone. Technology, having a loose definition, has always been a disruptive force, reshaping the world since man has come into existence. Rapid Tech adoption by Banks has often been for multiple reasons. Banks here is loosely used to define traditional lenders that include both Banks and large NBFCs. Collaboration between Banks and FinTechs can result in a lot of synergies, both from a strategic and an operational perspective. While collaboration isn’t unheard of, they have been largely restricted to banks and large NBFCs extending lines to FinTech as a means of investment rather than meaningful collaboration. Does this mean that banks and FinTech firms are out to out-compete each other? While there is no decisive answer, there is a very high probability of them competing head-on in certain segments. Each of these firms has their own target segment for sourcing. 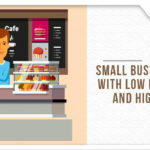 There are many instances that the same customer has loans or other similar products from both banks and FinTech firms for a variety of reasons. Also, several risk-taking NBFCs have been competing directly with FinTechs, albeit in smaller loan volume and value by pricing their risk appropriately. Also Read: WHY IS INSTITUTIONAL FUNDING BETTER THAN NON INSTITUTIONAL FUNDING? Where do we see Banks, NBFCs, and FinTechs headed towards? While the latest budget made note of FinTech firms’ contribution to India’s funding ecosystem and plans to support them, they are still a long way from the impact that banks have made, the expectation that the government has from them. 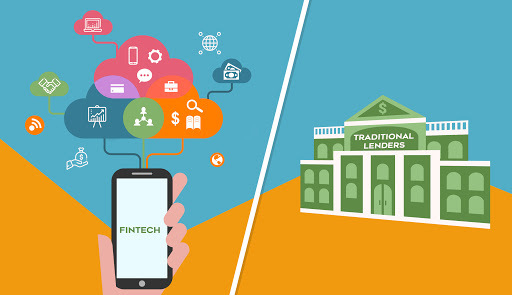 While FinTech firms will continue to strengthen their presence on ground and operations, a lot of maturity in processes are yet to mature, even among the most mature FinTech firms. On the other hand, banks would continue to strengthen their technology to enhance credit, collections, and operations. Many NBFCs and private banks are already targeting segments served by FinTech firms. Will banks and FinTech adopt emerging technologies like AI/ML, Blockchain, etc.? This is an area where several private banks, large NBFCs, and FinTech firms have already forayed into and have been running POCs. They have already started experimenting with technologies; however, compared to other industries, adoption will not very streamlined due to considerable regulation around data privacy and sharing. That said, there are already a lot of technology driving adoption due to the some of the shortcomings in the each of the business model. Will banks and FinTech truly collaborate as envisaged by many? While there are a lot to imbibe from each other, a major area of collaboration would be co-lending and shared risk management. Another area of business engagement would be servicing currently unserviceable or underserved segment using a combination of physical presence and technology. Most banks currently collaborate with FinTech firms only on a transactional basis and they are few use cases. However, strategic business level collaboration with FinTech firms like partnerships and alliances is a highly likely possibility. Some key areas of focus like API Banking and co-lending is expected to drive collaboration, which is the need of the hour. What remains to be seen is the timeframe when banks adopt FinTech practices and vice versa. Also, if any meaningful collaboration does take place, what would the scope and outcome of the same. With a lot of rapid changes around Technology in the lending sector, a lot of collaboration would also be influenced considerably by RBI and the government’s stance on the FinTech sector.